Seven months after she was randomly punched in the face by a stranger in downtown Winnipeg, a young woman has finally regained vision in her severely injured eye. Last June, Brittney Thomas-Ljungberg was punched in the face by a man she didn’t know while she was on her way to a restaurant in the city’s Exchange District. The 29-year-old student and server suffered a “global rupture,” where her eye was split open and bleeding. 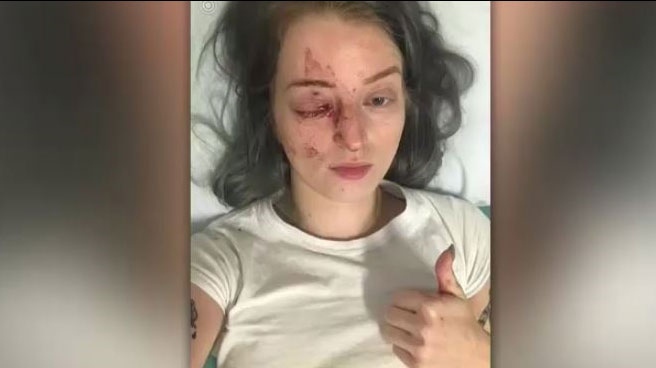 “Her eye was open so she had no pressure and there was a laceration that would have been 10 to 15 millimetres long that needed sutures to put her eye back together,” Dr. Frank Stockl, the woman’s primary surgeon and a retinal specialist, told CTV Winnipeg on Friday. 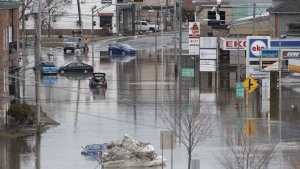 At the time of the injury, Dr. Stockl said doctors at the Misericordia Health Centre’s Eye Care Centre were unsure if Thomas-Ljungberg would ever see out of that eye again. Upon further examination, doctors discovered she also had a retinal tear and damage to the lens of her eye. Over the course of her treatment, Thomas-Ljungberg underwent three surgeries to repair the damage to her eye. The first surgery was to fix the ruptured eye, the second was to mend part of her retina that was detached and the third, in October, was to replace her lens. Now, after seven months of recovery and not knowing if she’d be able to see again, Thomas-Ljungberg has nearly perfect vision. “I can see, which is 100 times better than what was the original diagnosis of like, ‘Hey, you’re going in for surgery, you might not have your eye when you come back out,” she said on Friday. Thomas-Ljungberg has even been able to return to classes at the University of Winnipeg after she was forced to drop her courses due to the injury. In addition to her schoolwork, Thomas-Ljungberg has also returned to her serving job. She said she’s continuing to stay positive about her life. “I am a fairly reasonable person so I just took it as it came,” she said. Winnipeg police said no arrests have been made in the case. Brittney Thomas-Ljungberg was punched in the face by a stranger in downtown Winnipeg in June.